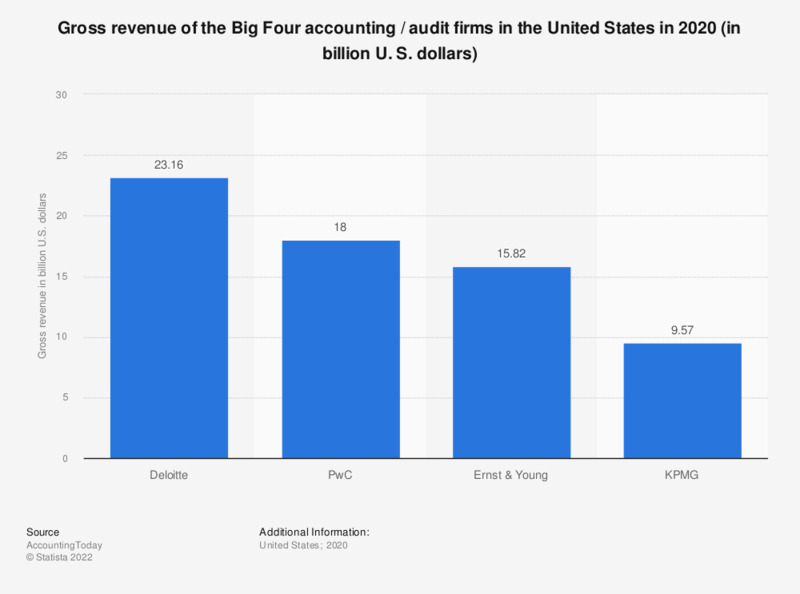 This statistic shows the revenue of the Big Four accounting / audit firms in the United States in 2017. Deloitte generated approximately 18.5 billion U.S. dollars in gross revenue in the United States in 2017. Fiscal years: Deloitte ends May; PwC and EY end June; KPMG ends September. Accounting industry in the U.S.
Everything On "Accounting services in the U.S." in One Document: Edited and Divided into Handy Chapters. Including Detailed References. Statistics on ""Big Four" accounting firms"
What financial challenges have you faced in the last 12 months? How has your revenue changed over the past 12 months? Which services are you most likely to use in 2019?